Tooth alignment can be changed at any age if your tooth, gum, and bone structures are healthy. We offer a variety of treatments that are designed with adults in mind. 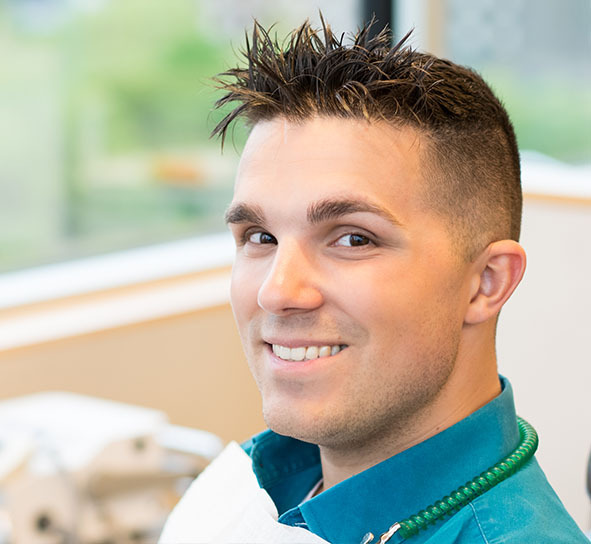 We work closely with your general dentist to give you an amazing smile and influence your overall dental health in a positive way!…A new smile can begin today! Am I past the age to receive orthodontic treatment? A beautiful smile can be achieved through orthodontic treatment at any age as long as your tooth, gum, and bone structures are healthy! It’s never too late to get the smile you’ve always wanted. With advances in technology, it is easier and an overall better experience for adults to go through orthodontic treatment. Even if you are looking at restorative options with your dentist, we work side by side to provide a collaborative approach leading to the best possible outcome for you! How can we accelerate my treatment? Some patients will qualify to use our AcceleDent Aura technology. With this device, tooth movement may be accelerated by approximately 40% without causing any underlying issues! AcceleDent Aura uses SoftPulse Technology™ to generate small vibrations, or micropulses through a mouthpiece used nightly to enhance the movements directed by the orthodontics, allowing for faster tooth movement. I had wanted straight teeth since I was 10 years old, and here I am decades later and I have the smile of my dreams!